Today I am guest posting over at No Twiddle Twaddle- one of my favorite blogs and Picture Book of the Day collaborators on Facebook. 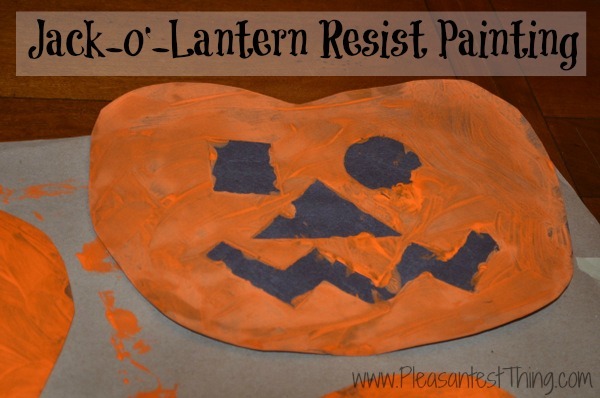 The picture above is a sneak peek of the Jack-o’-Lantern Resist Painting activity. My son enjoyed this activity so much that I am heading over to my son’s preschool class to do today! Click here to read.